I truly believe the vibes and thoughts you put out into the world is what comes back to you. Whether it be the mindset you have or the language you use your attitude determines how things go in your life. Think about a time you were in a bad mood or felt like nothing was going right and, your whole life seemed to come crashing down. I can recall a few times that my morning started of crummy, tons of traffic, late for work, and there was no redemption for the remainder of my day. Because things didn't start out as I'd planned my negative energy set the tone for the rest of my day. Everything annoyed me, my fuse was short, and it seemed like everything that could go wrong did. Something that started out so small manifested itself into this insurmountable negativity energy and I let it consume me. Had I taken control and put my thoughts in check I'm sure the day would have gone very differently. Instead I let my defeatist attitude consume me and I felt as if all was lost. I'm speaking for myself but I feel that negativity breeds toxicity and doubt. Things will wrong and that's the nature of life, but its how we decide to recover that will either make you or break you. Everyday will not be perfect and a bad day is inevitable, but you don't have to let it negatively impact you and allow the dark cloud to loom. Negative thoughts not only affect our mindset, but also our physical and emotional well being. 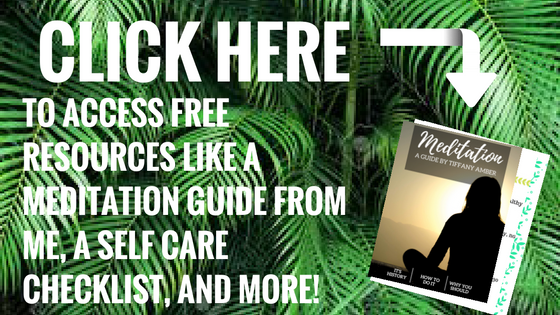 It can drain us, make us feeling stressed, and even allow feelings of anxiousness to rise to the surface. Toxic relationships are also more likely to exist when we fail to maintain a positive attitude. People are receptive to your energy and if what you're putting out isn't good you can almost guarantee what you attract won't be either. I guess the old adage misery loves company reigns true. Because I've yet to see someone with an awesome upbeat attitude surround them self with someone who has a hopeless outlook. Positivity attracts positivity and the sooner you can adopt this mindset the sooner you will notice a change in your life. If you are willing to change your thinking pattern and see things in a positive light it will not only benefit you but also other's around you. When you decide to look on the bright side and put in a conscious effort to be positive life becomes a lot easier. You reject all things negative and only allow things filled with love and light to have a place in your life. Opportunities seem to present themselves and because you're not living with obscure and uncertain thoughts you're more likely to pursue those things. Positive thinking in essence brings about a fresh perspective and is a major confidence booster. You become happier, healthier, and motivated to just be better. You'll start to speak with conviction and believe that you are capable of all things. So the next time you find yourself in a funk or feel negative thoughts taking over remember changing your thoughts can change your world. How do you overcome negative thoughts? Leave your comments below! 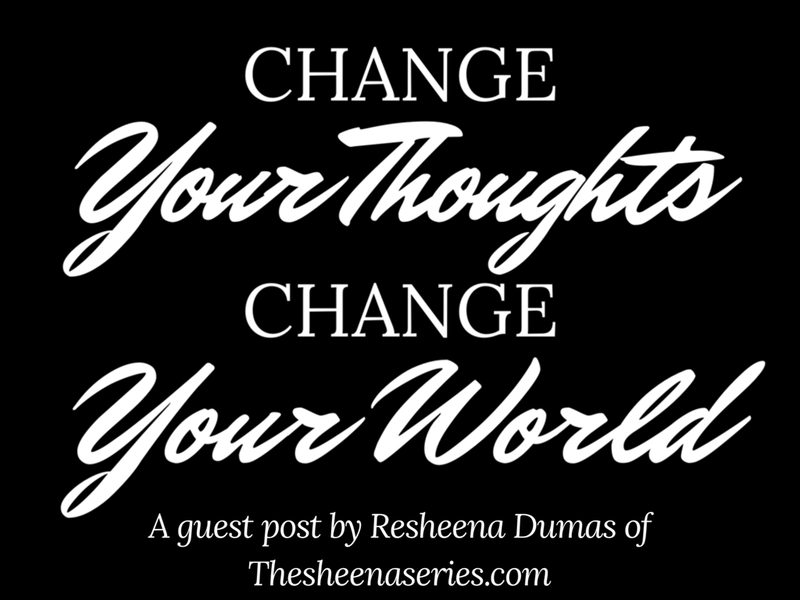 Resheena Dumas is the creator of the lifestyle blog The Sheena Series. She is a speech pathologist by trade but uses blogging as a way to connect and collaborate with women over the things we all think but don't necessarily get to say.